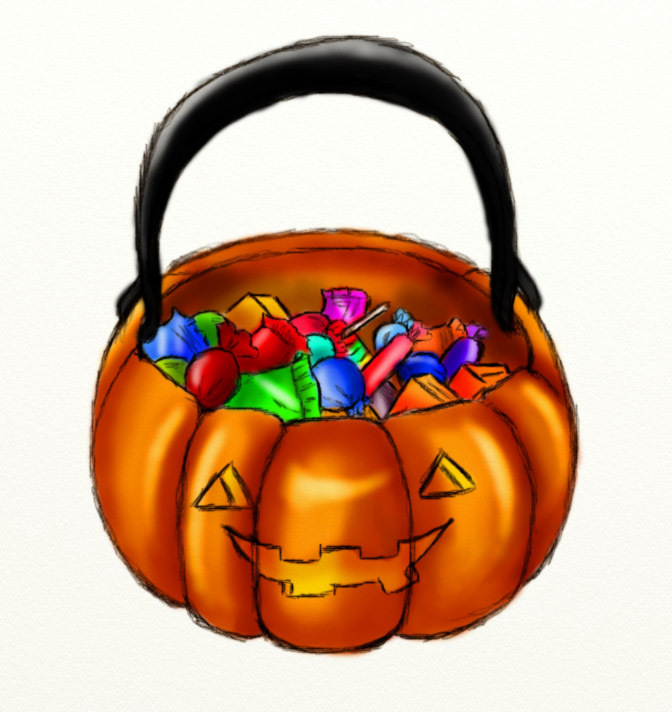 Since I went a day without posting anything Halloweeny, I decided to post up this drawing I made a few days ago of a trick or treat jack o’ lantern candy bucket. I originally drew this for a hub that I started yesterday. I just liked how the drawing turned out and felt it was worthy of posting to the blog today :3. Although i’m too old to go trick or treating these days (although I have been told that I pass for 15 or 16 still xD!) trick or treating still fascinates me to this day. Believe it or not, I wasn’t allowed to go trick or treating until I was 15 xD!! !My mom is a staunch Christian who thinks that Halloween is the devil’s day. I wasn’t allowed to celebrate Halloween until I was old enough to make my decisions. I kind of rebelled against my mom one day and went trick or treating for the first time with friends.